When it comes to expenses for your restaurant, food cost is probably the category you spend the most on. Without a food cost calculator, you can’t know what each dish is costing you, nor can you accurately calculate what you should charge customers. 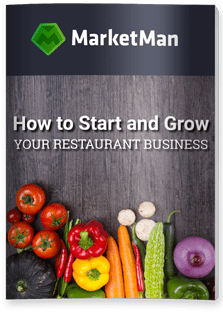 If you’re not using a food cost calculator or recipe costing software, your business might not be doing as well as it could be. Sure, you might take into account the cost of the ground beef and eggs that go into your famous hamburger recipe, but what about the seasonings and breadcrumbs? These may seem like insignificant cost items, but they can add up. Using a food cost calculator, you include every little thing that goes into a recipe, including seasoning and sauces. Even if they cost only a fraction of a cent, you need to stay on top of those expenses. Profit margins are, by nature, narrow in the food industry, which is all the more reason to stay on top of your costs. But once you know what dishes cost to make, you can decide on an across-the-board profit margin you want. Add that to your food cost and you have your menu price. As food prices rise (a reason you should run food cost calculations several times a year), you can look to increase menu pricing to keep that profit in line. If you run a steakhouse, your food costs for top-quality meat will be understandably higher than if you run a taco shop. Knowing the quality of food (and price point) that your customers expect can be helpful when assessing new potential menu items. Then using a food cost calculator to assess what the menu item would cost can help you determine whether it’s a good fit for your menu lineup or not. You may not be able to get the same profit margin for all of your menu items, and that’s okay. Things like french fries may have a higher profit margin than sea bass, so if you know what these items cost to produce, you can make sure you have a healthy balance of different profit margin menu items. A food calculator is a restaurant owner or manager’s best friend. Understanding the costs that go into making a dish is essential for a growing restaurant business.